in 2009 Coining completed the acquisition of SEMX Corporation, parent of SPM in Armonk, NY. 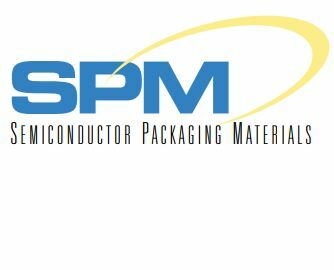 Like Coining, SPM manufactures a broad range of solder preforms and other miniature metal stamped components used for microelectronic packaging and assembly applications in the medical device, telecommunications, semiconductor, microwave, military, aerospace, industrial and automotive markets. "The combination of Coining and SPM makes us an even stronger supplier and partner to our customers," explains Vito Tanzi, Director of Field Sales at AMETEK ECP, Components and Wire. "In addition, we add SPM's aluminum, copper and gold wire products to Coining's portfolio plus the capability to package stampings in a tape and reel configuration internally." At the time of this acquisition, Semiconductor Packaging Material was located at 1 Lambriola Court, Armonk, New York. Coining was located in Saddle Brook, New Jersey. The combined businesses commenced full operations at a new domestic manufacturing facility and headquarters at 15 Mercedes Drive in Montvale, New Jersey USA. in October 2010.